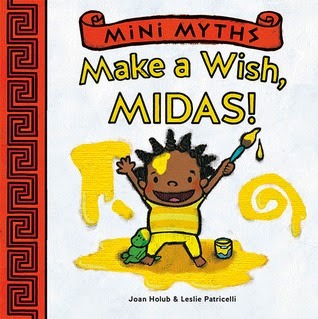 The Mini Myths series is written by Joan Holub, illustrated by Leslie Patricelli and published by Abrams Appleseed. Each book teaches the title character, and in turn the reader/listener, an important life lesson. This series is a favourite in our home and are read on a nightly basis. They are easy enough for early readers to start learning how to read and are the perfect length for bedtime stories. The pictures are vibrant and the board books are durable, even for young toddlers. I also appreciate the last page of each book which has a couple paragraphs about the mythology surrounding the title character. These books are a favourite in our house and are read everyday before naps and bedtime. I highly recommend these books to parents who are looking for fun and subtle ways to teach their children life lessons through books. 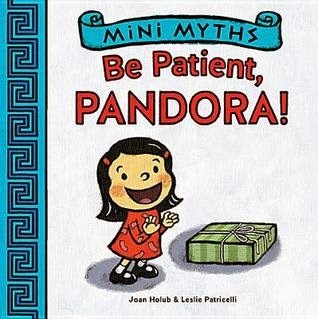 According to Goodreads, there are two Mini Myths books to be released this year. We will definitely be grabbing them to add to our collection. Hercules is a strong boy. He's also an older brother. Before play time his dad reminds him to play nice with his little sister. 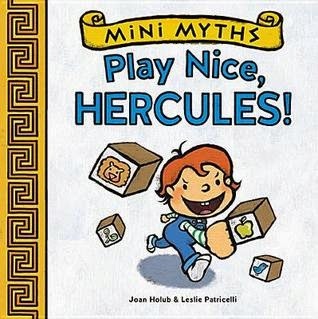 Instead of listening to his father, Hercules knocks over his sister's blocks making her cry. After realizing what he did was wrong he helps her rebuild the fortress. Medusa is a spoiled little girl with very tangled hair. Her father is trying to brush her hair before Grandma comes for a visit. She insists that she gets a candy before anything. Grandma arrives and instead of staying for a visit, they take a trip to the hair dresser where Medusa gets a sweet surprise. Midas' favourite colour is yellow. He likes to wear yellow clothes, use yellow markers and eat yellow food. Dinoboo is his stuffed, green dinosaur. After painting Dinoboo yellow, Midas gets upset because he wants his toy back to the way he was. He can only wait and wish to see if Dinoboo can be changed back to the way he was before. Pandora's mom has a special box that she does not want opened. Pandora cannot wait to see what's inside and starts to fiddle with the box. Her antics create a huge mess and she can only hope that her mom can forgive her. 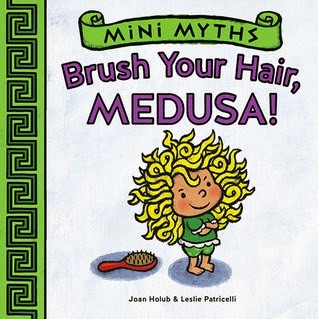 You can find additional titles by Joan Holub on her website at http://www.joanholub.com.